Curious About all the Volkswagen Buzz? Here at Napleton's Volkswagen of Orlando, we are not only passionate about our new and used Volkswagen model lineup, but we are extremely dedicated to providing top-notch customer service to our Altamonte Springs, Oviedo, Winter Park, Union Park area customers as well. Whether you have a specific model in mind or not, we here at Napleton's Volkswagen of Orlando will help you make a highly informed decision through every step of the buying process. If you are in the market for a Volkswagen dealership in Orlando, whether its new or used Volkswagens you are seeking Napleton 's Volkswagen of Orlando can help. We have an extensive inventory of Volkswagen cars at our Orlando dealership. If you are looking for an auto dealer that has a huge selection of both new and used vehicles as well as great pricing and amazing customer service your in luck! Napleton's Volkswagen of Orlando is known for our great customer service and the beautiful facility that will make you feel right at home while you do your auto shopping here. 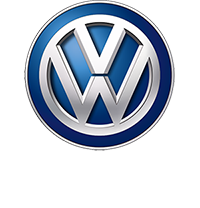 We will take care of your Volkswagen parts needs, Volkswagen service needs and your new and used Volkswagen desires! Find out why Napleton is such a popular auto dealer in the Orlando area and find out why Volkswagen's are such a fun vehicle to drive, all in one joyful trip. The first thing you'll notice when you step into the Napleton's Volkswagen of Orlando Fl showroom is an amazing selection of new 2015-2016 Volkswagen models to choose from, including the Volkswagen Golf SportWagen, Jetta, Passat, CC and Beetle. We carry a wide range of models that make cruising Orlando, Altamonte Springs, Oviedo, Winter Park and Union Park a more enjoyable experience, and a test drive is never more than an inquiry away, meaning you can learn more about any more you're interested in with ease. Used cars are becoming a better deal year after year. The used cars you find on most dealerships car lots these days are much newer and better condition than you may have found years ago. People are trading in their vehicles much more frequently these days and as a used car shopper you get to benefit from it! With a large inventory of pre-owned autos the shopper gets a great selection as well as great price. Orlando auto dealerships are all full of new and used vehicles but only one has our quality of customer service and low pricing combined! If you are looking for the best car buying experience in Orlando stop by Napleton Orlando VW and see for yourself! If you're looking for something well-loved, something with a little more character, then our used Volkswagen models are sure to please. Your satisfaction is our goal with any in our wide selection of used vehicles, so leave your lemon-related fears at the door and come find that perfect pre-owned gem you've been searching for. Volkswagen Jetta Orlando - The Jetta. Impresses on first impression. Smart features and a stylish exterior. The Jetta delivers on all counts, especially the ones that count. Volkswagen CC - Orlando - Sophistication and style. Now within reach. Its striking style and sporty performance show the CC was built to steer itself straight into your heart. Volkswagen Beetle - Orlando - Breaking the mold. Every chance it gets! A sleek twist on an iconic shape, the Beetle has the looks and performance to turn heads and corners equally well. Volkswagen Gulf - Orlando - Urban enjoyment vehicle. It's versatile. It's innovative. And it's a perfect example of how a modern hatchback can think outside the box. Ready. Set. Golf. Volkswagen Passat Orlando - More fun. Less fill-ups. The Passat is always there for you and your family, thanks to a rearview camera, available Blind Spot Monitor, and available VW Car-Net that lets you stay in contact with your car. First and foremost, our financing department works to ensure your dreams of ownership don't fade due to confusing financing terms. Our team is trained to demystify the numbers and help you find a car loan or Volkswagen lease that fits your individual needs. Once you drive your new Volkswagen vehicle out of our dealerships showroom, that doesn't mean our relationship ends. Far from it, in fact. Our goal is to make sure your levels of satisfaction remain high for many miles, and we support you by offering Volkswagen parts. If you need something that isn't currently here, we'll place an order for you. In addition, we also provide auto service as our team of maintenance pros aim to keep your vehicle in the most pristine condition possible with routine repairs, checkups, and much more. Looking to find out more? We invite you to stop in to our auto dealership and see us at Napleton's Volkswagen of Orlando of Orlando, where we can keep the conversation going. We can be reached in a variety of ways; either over the phone, through our website, or of course, in person. Our team loves getting to know drivers in greater Altamonte Springs, Oviedo, Winter Park and Union Park, and we strive to give you the most enjoyable experience possible. Feel free to swing by during regular business hours, and we can get the ball rolling and discuss all your car options. The Orlando area has many dealerships to offer for new and used car sales. So how does one find the vehicle that is right for them with so many choices? VW Orlando does everything in our power to set ourselves apart from other auto dealerships. Starting when you walk in our beautiful showroom designed to make you as comfortable as possible. Then we focus on our auto sales staff and the customer service that they give each and every customer. Customer service is something we have found at other dealerships that gets overlooked at times. We pride ourselves on the amazing customer service we provide each and every Volkswagen customer and Used car customer at every level of the dealership. If you are looking to purchase a new car or used car, service your vehicle or even just purchase parts to fix your current vehicle. So when you are looking for an auto dealership in Orlando make sure you take these important things into consideration! Finding a used car dealership in Orlando that has both great deals on used vehicles as well as honest and polite product specialists is very hard to come by. That is why when people find Volkswagen of Orlando's used auto dealership they tend to keep coming back. Not only do they continue purchasing their used vehicles from us but they also send their friends and family to us. Finding a used car dealership that is both clean and honest is something that you can enjoy when you arrive on the lot at Napleton's Used Volkswagen dealership in Orlando. We pride ourselves on areas of the auto business that others fall short. We believe that making our customers feel comfortable and happy are just as important as the amazing prices we put on our used cars. Once you purchase your new or used vehicle from Napleton Volkswagen of Orlando dealership you will not want to shop anywhere else. So make sure you stop by our dealership and find out why so many people purchase their new and used vehicles from us.